The dance genre known as belly dance dates back to the 19th century. What we know today as belly dance is known for its isolated movements and beautiful costumes. This type of cultural expression wasn’t always widely accepted. Understanding and appreciating this popular dance begins with understanding its history. In the 19th century Egypt, there was a controversial group of exotic dancers that are considered by most to be the first belly dancers of our time. This new dance was a form of social and public entertainment, but it was not without its critics. These types of dancers were considered gypsies and were even banned from Cairo. This reputation led them to travel across Europe for other opportunities. Many historians credit the popularity of this dance to its sheer intrigue and conflict. Artists and painters found these dancers to be perfect subjects and began documenting their exotic expression in their art. Because these dancers were forced to travel, they eventually had an influence in the Middle East and Africa. The dance eventually became known as the Raqs Sharqi, an Arabic dance of the 20th century. This was an urban form of the 19th-century Egyptian dance that also combined elements from other dance genres including folk, ballet, and Latin. During the 1960s, it was very popular in the United States among young people to be a free spirit. Being one with their sensuality was a badge of freedom of expression among the young generation. The popular fashion at the time also had similarities to the costumes traditionally worn in belly dancing. 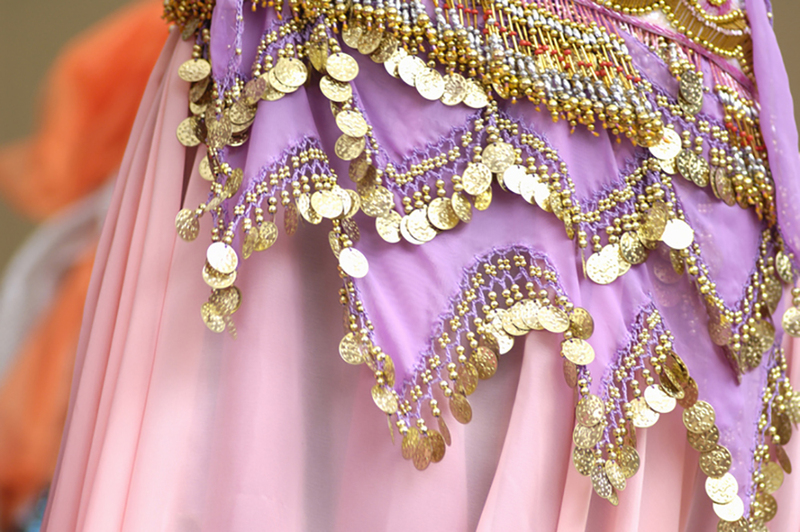 Belly dance costumes typically consisted of a fitted bra top, a long skirt or flowing pants, and a low-hanging belt. Because of its movements and costumes, belly dance gained booming popularity in the United States in the 1960s and 1970s. Some credit the dance’s popularity to western misinterpretation. Many dancers have worked hard to reinvent and protect the art of belly dancing as a cultural expression marked by celebration, rather than sensuality. Today, belly dance is a western term that encompasses all cultures and traditions of its colorful history. Influences from Africa, the Middle East, and India are all known to have contributed to the rich story of the belly dance. It is known today as a celebration of many cultures. If you’re interested in taking a belly dance class, Ballet Arizona offers an adult open class called American Tribal Style® belly dance. Check the schedule for more information.